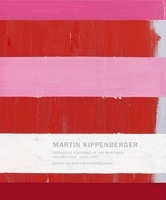 Hardcover, 9.5 x 11.5 in. / 64 pgs / illustrated throughout. 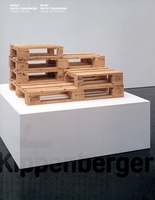 One of the most versatile and prolific artists of the postwar era, Martin Kippenberger (1953–1997) has been the subject of numerous major exhibitions since his premature death at the age of 44. The last exhibition in his lifetime took place at the Städtisches Museum Abteiberg, in Mönchengladbach, Germany, and was titled Der Eiermann und seine Ausleger (The Eggman and his Outriggers). 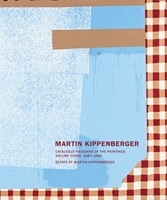 This publication focuses on nine paintings, a group of drawings and one sculpture that formed the center of this final exhibit, all of which were made in the last three years of Kippenberger’s life. 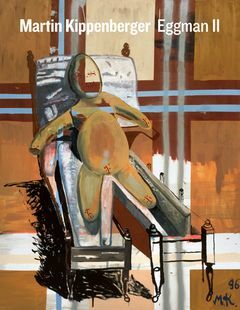 These works explore the motif of the egg--a key theme throughout the artist’s career, deployed to variously reference rebirth, reproduction and circularity, and also used as a comic device: in one self-portrait, Kippenberger depicts himself as an eggman whose torso has expanded well beyond its youthful contours. FORMAT: Hbk, 9.5 x 11.5 in. / 64 pgs / illustrated throughout.